2. Stir in salt, pepper, and bell pepper. 3. 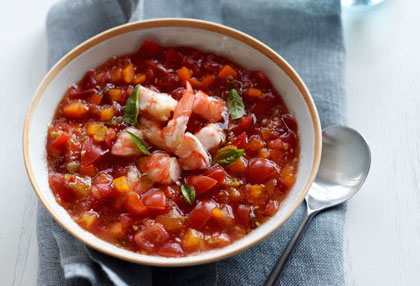 Ladle into 4 bowls; top with basil and shrimp and enjoy!